Gunning for some new ink? Want to touch up or zap ink you already have? Maybe you just want to mingle with hundreds of tatted, pierced and otherwise body-modified folks. Clear your schedule. 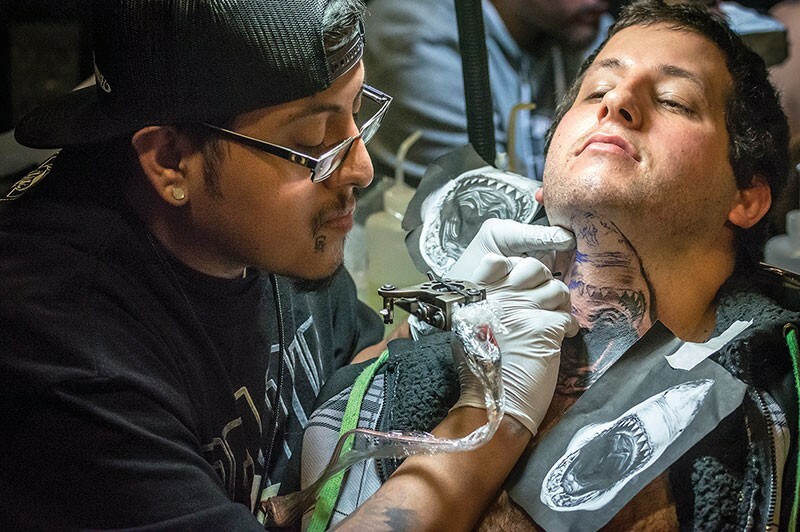 The Inked Hearts Tattoo Expo, Feb. 2-5 at Blue Lake Casino's Sapphire Palace has got you covered ($15, $35 all-event pass), possibly literally. Hosted by Ted and Amy Marks of NorCal Tattoo, the premiere tattoo event now in its eighth year, brings renowned tattoo artists from around the globe to the quaint town of Blue Lake for four days of needle work. Some of the trade's most talented artists will be on scene this year, including Liz Cook, Liz Venom, Tye Harris and Reese Hilburn. Organizers say appointments are recommended but with 30 booths with one to four artists in each, walk-ups have a good chance of leaving with fresh ink. In addition to artists, there will be vendors, live music and contests, including expo favorite, the Miss Inked Hearts competition, happening Friday, Feb. 3 at 6 p.m. ($15 to enter). See who will take home the title and grace billboards for 2018's expo. Also on Friday, tattoo artists compete for Best Black & White, Best Traditional and Best of Day starting at 9 p.m. with more tattoo contests on Saturday and Sunday. The event is all ages but attendees must be 18 to get tattooed. For more information, or to get tickets online, go to www.inkedhearts.com.